← [Own Your Life] FOCUS is the New Savvy! [Own Your Life] ADHD or Color Style? What if there IS another way to look at our loved ones, family and friends that will dissolve the labels we’ve been carrying around either about ourselves and/or others. Would you want to know? Ignorance does not lead to bliss. A shift in POV = Point of View can make all the difference in the world. Perspective determines how we are deciding to see someone, which instantly impacts how we treat them energetically. Take a few minutes today to read about what may be a more helpful determination about what may be a better way to think about your brain. I think you’ll be glad you did. Stephen is a Senior Directing major at Carnegie Mellon. He is also the current President of Carnegie Mellon’s Film Club. He recently completed his Thesis Project within the School of Drama: a production of Mac Wellman’s “A Murder of Crows.” He is currently working on creating a collective of Film Enthusiasts. Owning Your Life begins with being as informed as you possibly can about the things that are playing out in your life. I believe it is so important to take the time to become informed about ALL sides of the equation and not just one point of view because there is a wealth of information coming in that is evolving us as a society and to heal our humanity. As you’ve learned from Stephen’s short TED Talk, he has a different perspective about what may be a more effective way to live with, work with and be accommodating to people who are neurologically wired differently than you. Stephen mentions having experienced headaches growing up. I too had headaches and migraines growing up. When I got to college they became daily and after exhaustive tests in the hospital, I was prescribed Fiorinal, a lovely barbiturate that helped me feel better so I could do better. I ended up using the Fiorinal daily over the next 20 years. Interestingly enough, I started getting more headaches than it was helping me with because of Medication Overuse Headache (MOH), also known as rebound headache kicks in over time from an episodic condition to chronic daily headache due to excessive intake. Eventually I put myself into an in-patient treatment program to get off of it and work a 12-Step drug treatment program to acquire the tools I needed to heal myself and to finally free myself of the need for life altering drugs. I’ve been invested in herbal supplementation for the past 25 years which is how long I’ve been drug free, so I know just how much herbs make a difference in people’s lives to help them feel better so they can do better. Owning Your Life initially means to own who you are right alongside how YOU are neurologically wired! Let me just say this: Depending on one’s Personality Styles we often make things far more difficult than they need to be especially when we aren’t feeling good because fear gets involved and can play havoc in our ability to be discerning. It’s not about Energy+Mind Coffee or FocusFusion Cocoa being magic bullets as much as it is about the miracles simple solutions have been known to bring. Ockham’s razor is the idea that, in trying to understand something, getting unnecessary information out of the way is the fastest way to the solution. Ockham’s razor is a philosophical or scientific principle according to which the best explanation of an event is the one that is the simplest, using the fewest assumptions or hypotheses. If you think back over your life, I think you’ll find that the simplest solutions – for the most part – ended up being the best solutions. I’ve been working with herbs for myself and my family’s health for 25 years intentionally to keep us all off prescription medications as much as possible. What I know for certain is this: We are all wired differently and what maybe synergistic for one person’s regimen is not necessarily synergistic for another. 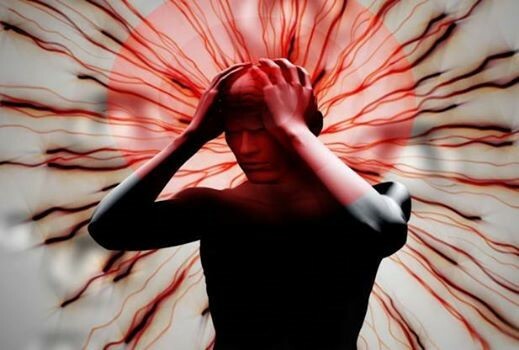 What has become problematic for the brain is when it is too strong in its predominate color and has not been encouraged / trained to expand into the other areas of the brain that are in fact available through creating new neurological pathways to them. It just so happens that this is what my Connecting with Color’s Program is designed to do. When you begin to understand how the brain is neurologically wired, then you can begin to “dial-in” that person’s color style and start speaking “their” language to get them on the same page as you. Coming AT people too strongly with our predominate personality style can in fact STRESS the brain. What we really must start talking about is: what the stressors of our lives are actually doing to our brain’s ability function on a moment by moment – day to day basis. STRESSORS include: people coming at you attitudinally because you process information, communication, connection differently than they do; people who label you to fit you into some kind of “the problem with you is …” category instead of changing their color style approach with you; poverty environment, i.e., not knowing where your next meal is going to come; the tone of your home, i.e., a daily war ground in relationships; the grips of addiction i.e., using substances including food to zone out and not be emotionally available; social emotional hurts, i.e., bullying … etc. etc. etc. Before you run out and get yourself on prescription drugs or invest in large quantities of herbal supplements that may or may not be synergistic for what your body needs, why not take a simple approach to try first to see with how you and/or your loved ones are thinking and feeling. Get the tools that will help you be as informed as possible. I recommend my Connecting with Color‘s Style Program coupled with either Energy+Mind Coffee and/or FocusFusion Cocoa in your daily regimen. Why suffer when you can take a few simple steps to do something different. My husband and I have been greatly helped by just changing several cups a day we are drinking to our herbally infused Energy+Mind Coffee and FocusFusion Cocoa. I am completely off all medication and my husband has reduced his antidepressant medication by 50% and we don’t have to figure out what amounts of herbs we should take – it’s all been done for us by simply changing our morning cup of coffee or cocoa smoothie. A great rule of thumb: K.I.S.S =>Keep It Simple & Straightforward! For today, I wanted you to see just how complicated we make things in our society and to encourage you to just DO my 24 Day Feel Better Do Better Challenge. Our Energy&Mind Coffee and/or FocusFusion Cocoa is simple and straightforward! Before jumping on the big pharma and antidepressant band wagon, you could try two easy nutritional health drinks such as our Javita Energy+Mind Coffee and/or FocusFusion Cocoa for non-coffee drinkers. If you are already on antidepressants like my husband is, you may find as he has, that he was able to reduce the amount of medication he was taking by 50% since first starting to drink our Energy+Mind Coffee! Unlike other coffees and cocoas Javita’s Energy+Mind Coffee and FocusFusion Cocoa are both infused with a potent blend of gotu kola and bacopa monnieri herbal extracts to provide maximum health benefits. People all over the world are raving about how they feel after drinking Javita regularly! “As a Child Psychiatrist, ADD/ADHD and Autism (of which Asperger’s is a milder form of this) are among the mental disorders we treat with psychostimulant medications and benzodiazepines to control the impulsive, distractible, hyperactive, and on occasion aggressive behavior of these patients. The potential side effects of these drugs are always a major concern of course. The Energy + Mind blend (as well as the new FocusFusion Cocoa) with its ingredients of gotu kola and bacopa monnieri helps in keeping the needed balance among the neurotransmitters in the brain. The beauty of Javita is no side effects of concern and are safe for children.” ~Dr. 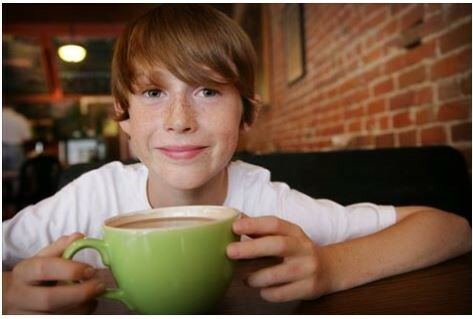 Walter A.
Cyndi Taylor: Woodall My son who is in college starting drinking the cocoa – grades improved, focus improved, note taking doubled, and he doesn’t fall asleep in class! Yeah it works! “My daughter Laci Lee was diagnosed with ADD in May 2012 @ the age of 10. She has struggled her whole life in school. She never could grasp anything that the other kids could. We had numerous test done but they never found anything wrong, because she was quiet and not loud and crazy. Doctors started her on prescription meds, as while it seemed to work for a bit, she started to zone out again. The more they increased the meds the more she turned into a walking zombie not to mention she had no appetite. I really didn’t like what it was doing to her AND she had NO AMBITION for life. “I would get Migraines all the time, and was to the point of having to go to the ER each time for hard shots as nothing would work. I checked my records the other day and found my last migraine was November 18th 2013. I found Energy+Mind by chance, about 1 week after that Migraine. I have not had a single migraine in nearly 8 months of Javita! Crazy I tell ya, crazy!!! I will not go a day without my Javita….EVER…” ~Mechelle S.